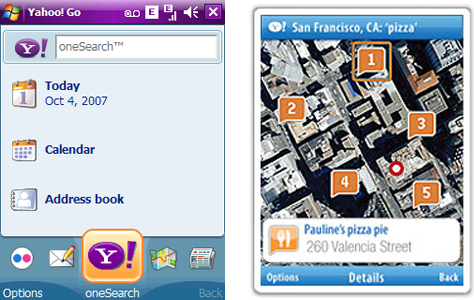 Way before apps, GPS and smartphones, we were conducting research into location- based services for Yahoo! Yahoo! Go was the company’s early mobile brand, and its features pointed to important early innovations in mobile experiences and content delivery. We conducted a series of detailed usability tests and one-on-one, in-depth, qualitative interviews which covered various location-based interactions, including directions, cinema times and ‘on the go’ localised news services. As well as conducting early prototype usability, we also used ethnographic and observational techniques to understand customer engagement and delight. Given that this was a completely new product category, and ahead of its time, we looked in detail at its learnability, considering both the ‘out of the box’ experience and its continuing use with customers. The iterative usability findings from this study helped Yahoo! take a great but complex prototype and fine tune it into an award-winning mobile service.